This statistic displays the most shared viral video ads of all time in the United Kingdom, ranked by million shares as of June 22, 2015. 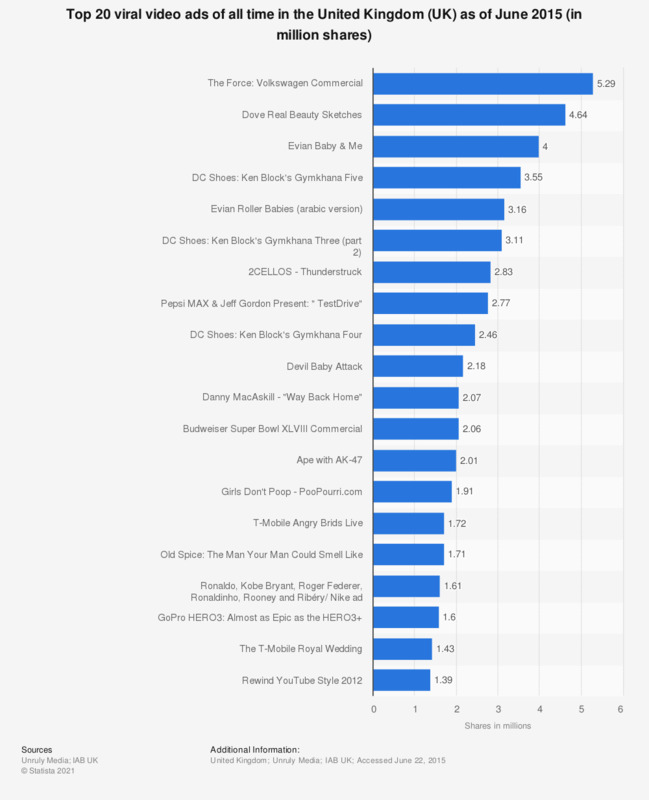 The Force: Volkswagen Commercial ranked first at date of publication with almost 5.3 million shares. A ranking of the ten most popular shared global ads in March 2014 is also available.